As a content creator, it can be frustrating to invest time and money in creating a blog and then not see the content picked up by anyone. However, that is a problem everyone faces, especially at the start of a content project. Creating content is one part of the effort, but you should set aside a substantial amount of time to think about how to market your content. In this post, I am going to share a list of things you could try to repurpose your content. You can take the highlights of one or multiple posts you have created and build a slidedeck based on that, upload it to Slideshare and then seed it on your social media channels. If done right, the slides can be browsed right on the social networks. I tested this with Twitter (just add the Slideshare link to your tweet) and LinkedIn (add the embed code via the “Add Media” button while creating a new article). Besides Slideshare, you could also use Prezi or Powerpoint and seed with those. Slideshare should bring the best results as it has the largest community behind it and integrates all the best features of other services. One can do the same with Animated GIFS as with slidedecks. The amount of information you can present with a GIF is limited, but it is great for sharing content on Twitter and Facebook as both platforms support GIFs (autoplay while scroll over). On my Android phone, I use the Gif Me Pro, and in a browser, you can use a site like MakeAGif.com. Since the revival of the GIF, hundreds of apps and sites have emerged seeking to help you create GIFs. If you are the author of a post it should be easy for you to quickly record a short video promoting your content. Again, you have the benefit of Twitter and Facebook that automatically shows a video on autoplay while users scroll over. Or, alternatively, you could reach new audiences on Snapchat by using its “Stories” feature. This is an example of a Twitter post utilizing a Video to promote a podcast. Note that the audio is muted per default, so create a video which is also understandable when muted. Where do your potential readers hang out online? 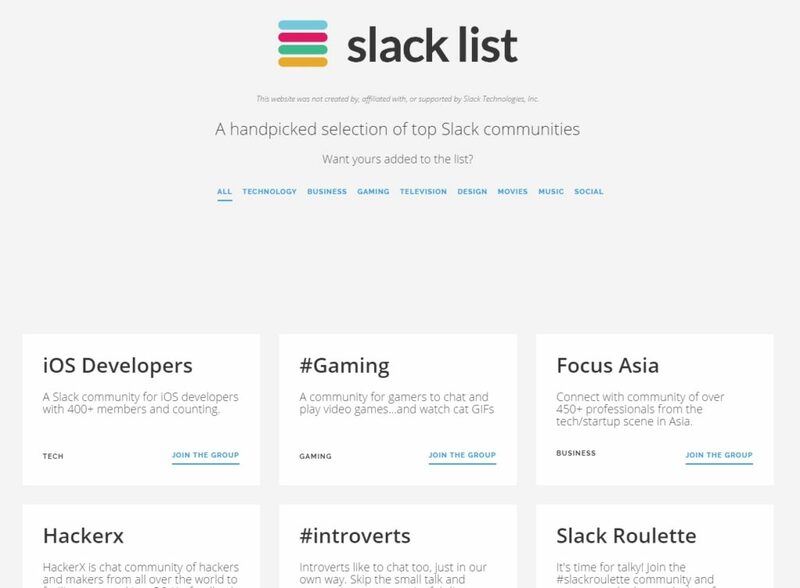 Are there special interest Slack communities, forums or discussion groups? Do a bit of research and evaluate if being part of such a group could be beneficial to you and start posting your content there. Just be sure you are not spamming those groups. Building a profile on a site takes time, so choose just one to get started with instead of trying to be present everywhere. If you wrote a specific solution to a problem, such as a how-to guide, search Google and social media platforms for that specific question one might ask online and point them to your article. Quora is one of the best known platforms to ask and answer questions, but there are several others. You could check this list of Q&A websites on Wikipedia. This is something you can do if you have so-called “VIPs” you would like to notice specific content you have created. This does, of course, not necessarily scale, though it could be a good tactic with which to follow up on a specific meeting, workshop or chat you had with a potential client. Mailchimp has a VIP feature that allows targeting a specific subset of your subscribers. This is easy to do and you should do it to show that others like what you publish. If others talk favorably about your content, let your followers know that by re-sharing the exact post. Create notifications using Google Alerts or similar tools to get notified if someone mentions you or your content in a post. Your social media management tool should also have a feature notify you if someone is tweeting or posting with regards to your content. 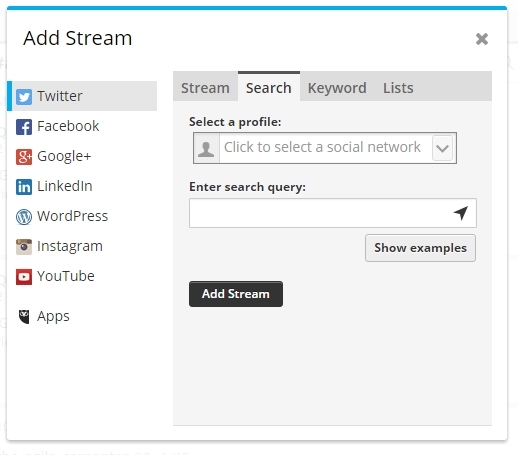 The “Add Stream” feature in Hootsuite permits setting up a keyword or search query. If your content is a lengthy how-to article or the topic of your post has changed, you can always update your content and re-share it. You can also do so if you received valuable comments on your article and want to re-share it to trigger further discussion. Do you have friends who blog or know influencers who might want to pick up ideas you have shared? Reach out and ask them if they want to write a reaction on their blog (and create a backlink to your blog, of course). Your social media management tool (like BufferApp and Hootsuite) supports scheduling posts. Especially for Twitter, it makes sense to re-share your content as many of your followers might miss your content because of not being on Twitter right at the time you have shared it. Do not simply re-share, but also try different headlines, copy and different images. For these purposes, you might use a tool like Adobe Spark or Pixlr to create images for your post. Re-publish your content on Medium, Facebook or LinkedIn Pulse. LinkedIn Pulse is the blogging platform attached to LinkedIn, and publishing there could be beneficial if you engage in b2b content marketing. As well, there are thousands of groups you could publish your article to. Facebook also allows the creation of blog posts on your FB site. The feature is called “Note” and is not promoted heavily by Facebook. You may also sign up for Instant Articles and connect your blog to Facebook (this requires a large volume of content and high publishing frequency). How a Facebook “Note” looks on your page. Medium is a blogging platform and you could start cross-posting your content there. I wrote a separate post on how to get started on Medium. Twitter Moments is a relatively new feature that permits you to create a story based on several tweets. The tweets in your Twitter moment do not have to be published by you, and it is possible to pick up any tweet for featuring in your story. Since the end of September, most of us have gained the ability to create Twitter moments, but it could be the case that in your market, the feature is still limited. How to create Twitter moments is explained in this video from Twitter. Millions of newsletters are sent each day and many send curated lists of content. Which newsletters do you follow and what types of content are they filled with? Would your content be a fit? Why not reach out and try to get your content featured in other’s publications. Check this list from Buffer for newsletters you may want to subscribe to. Apps and tools for creating and sharing content change fast. Many different content types are supported by most platforms and so it is up to you to figure out which fits your brand and can be added to your routine. Nobody thought we would all create and consume videos recorded in vertical mode a few years back until Snapchat came into being. Similarly, Facebook did not autoplay videos in its newsfeed and Twitter did not support GIFs a few months back. Stay curious and always plan enough time in advance to market your content.